Check out our boat diving services below. If you have any questions, please do not hesitate to contact us! 2-tank boat dives are the standard here in Cozumel. We have morning (7:30 am) and afternoon (1:00 pm) departures daily. A 2-tank trip takes 4-5 hours on a fast boat. 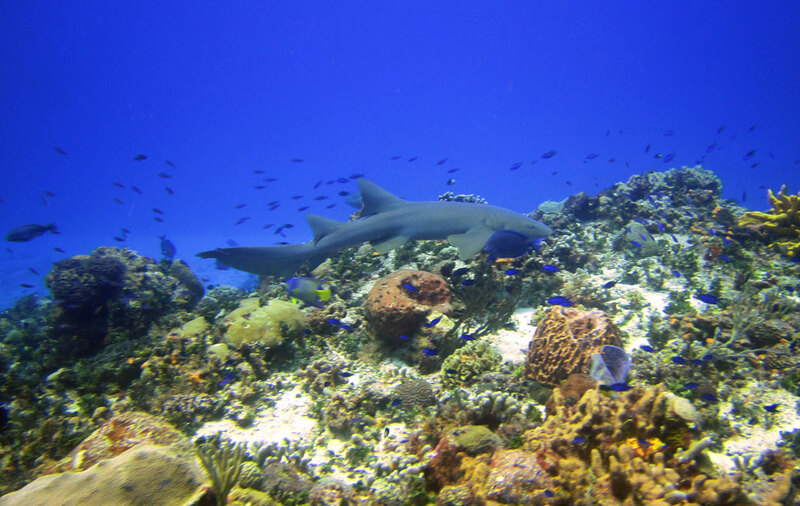 Travel time is usually less than 30 min to the best reefs in Cozumel. The trip includes: tanks, weights, marine park fees, taxes, fresh fruit, sodas, souvenir water bottles with bottled water, and a guide. We never have more than 6 divers per trip. 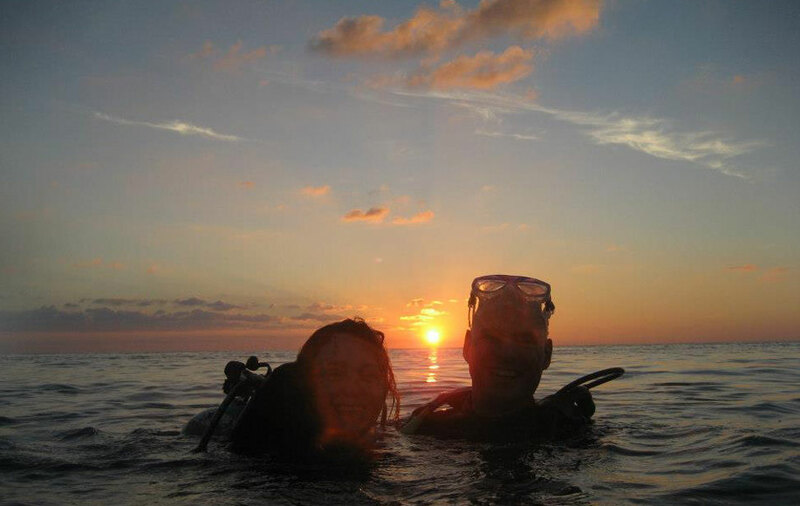 All of our guides are PADI certified dive instructors with many years of experience in Cozumel. Rental gear is available for anyone that needs it or doesn't want to haul their own gear around. Our gear is made by Aqualung. We change all our gear every 18 months to keep it as new as possible. We have all of our gear serviced by the original manufacturers. Rental gear is only charged once daily. If you're coming to Cozumel to dive, than what better way to fully experience the diving here than with our 5+ dive trip package rate. A $80 rate applies to morning and afternoon 2-tank dive trips for any diver who books 5 or more 2 tank trips (10 or more tanks per diver).. If you need to rent gear, regular rates apply. This package cannot be divided between divers. If you are looking for something a little more exclusive the Private Charter is for you. This is a great option for mixed groups of divers and snorkelers or for those looking for more personal attention. A private charter with up to 3 divers costs $500. The trip includes tanks, weights, all rental gear, marine park fees, taxes, drinks, bottled water, fresh fruit, snacks, and a private guide. If you have more divers a slight price adjustment is applied ($75/additional diver). Our boats can have a maximum of six passengers. 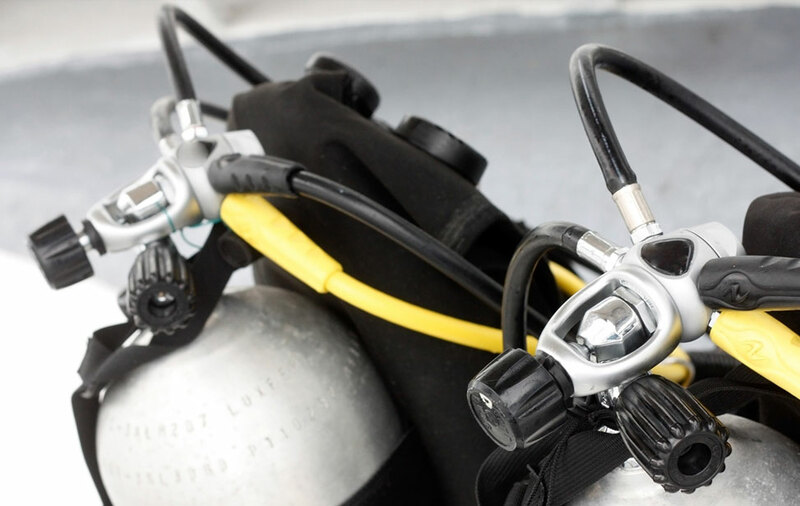 If you have specific dive requests, we will take you where you want to go (skill level and conditions permitting). We can even take you to a private beach in the south that is just breathtaking for your surface interval. Please reserve this well in advance as spaces for the private charter are limited. If you have never done a night dive before, this is the place to begin. 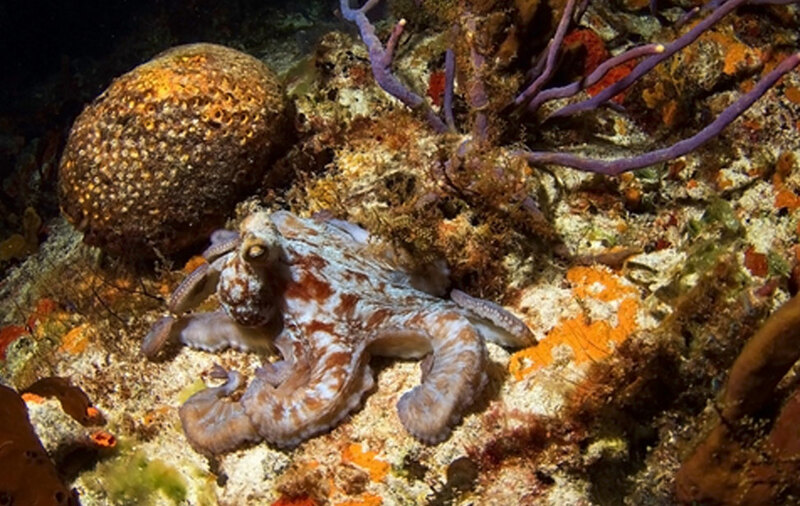 With its warm, clear water, Cozumel has some of the best night diving in the world. It is like diving in a whole new ocean. The corals and marine life are completely different during the night. The octopi come out of their holes to feed, as well as lobsters, crabs, eels and many other creatures you wouldn't see during the day. When you turn the lights off, you will be amazed at the sparkles (bioluminescence) in the rich Caribbean waters. 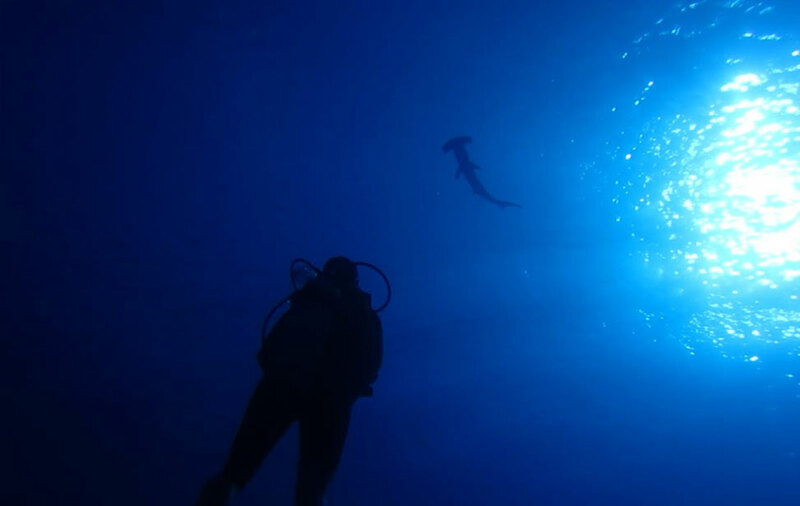 (Dive lights are available at $10 to rent) Minimum of 3 divers required to do a night dive. Divers must dive with us at least once during the day before joining us on a night dive. Single tank Night Dives only offered - October, November, December, January and February. We offer another option for people who are looking for a night dive. You can join us for a 2 tank Twilight/Night dive. We depart later in the afternoon. The first tank is done as the sun is low so it is great for any of the wall dive sites. Then, during the surface interval we wait for the sun to set before jumping in for the second tank at night. Please note that we do not offer Twilight/Night trips in November, December, and January. Please note that we do not normally offer Twilight/Night trips in the winter months of October, November, December, January and February. Please check for possible availability during those month by emailing Andrea in reservations. Have you been dry for too long? People often ask about our thoughts on getting a refresher. The simple answer is, if you are thinking about it, it would definitely be a great idea for you. If you have any doubts about your abilities when getting back into diving, then a refresher will be very helpful, and will definitely help to restore your confidence. Many divers take a scuba review course with a dive operator close to home before their vacation. If that doesn't work for you, we have two excellent options. One option is to join us for an afternoon trip with Discover Scuba students and the other option is to hire a 1 on 1 private instructor for $100. What is Nitrox? Nitrox is actually any combination of nitrogen and oxygen. Regular breathing air is comprised of approximately 21% Oxygen and 79% Nitrogen. Nitrox mixtures with percentages of oxygen greater than 21% are called Enriched Air Nitrox (EANx). We dive with 32%. You must be Nitrox certified to dive with EANx - not certified? We can help you with that too - ask about our Nitrox Certification. Let us help you create a keepsake of your diving memories to share with your friends, family and social media for the world to see what an awesome adventurer you are! If you are diving more than 2 days with us, we would be happy to take care of your dive equipment for you. 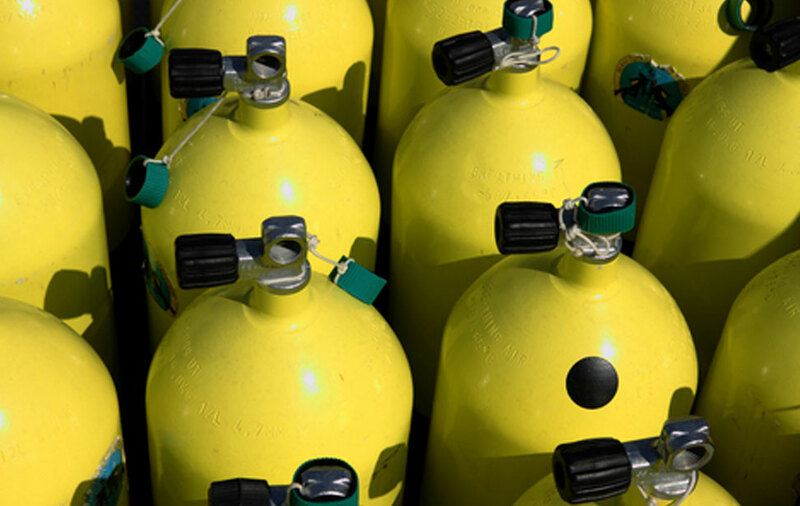 Gear service includes rinsing, drying and returning it with a fresh tank on the boat the next day you dive. No need to haul around the salty wet equipment if you don't want to. We do ask that you take your wetsuits and booties with you. ScubaTony T-Shirts are available in Small, Medium, Large, XL and XXL for $20 each. Please ask your Divemaster to bring you shirts in your sizes if interested. Please read our Cancelation Policy before you make your reservation. 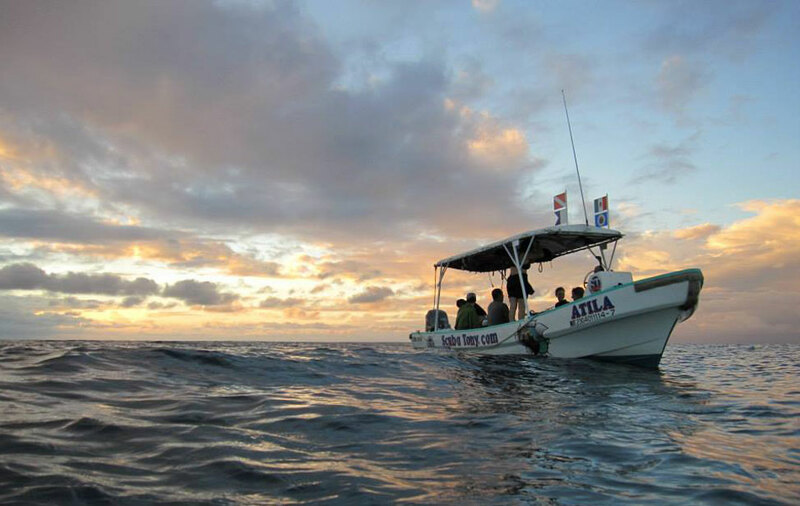 We aim to offer the best Cozumel, Mexico diving experience possible. 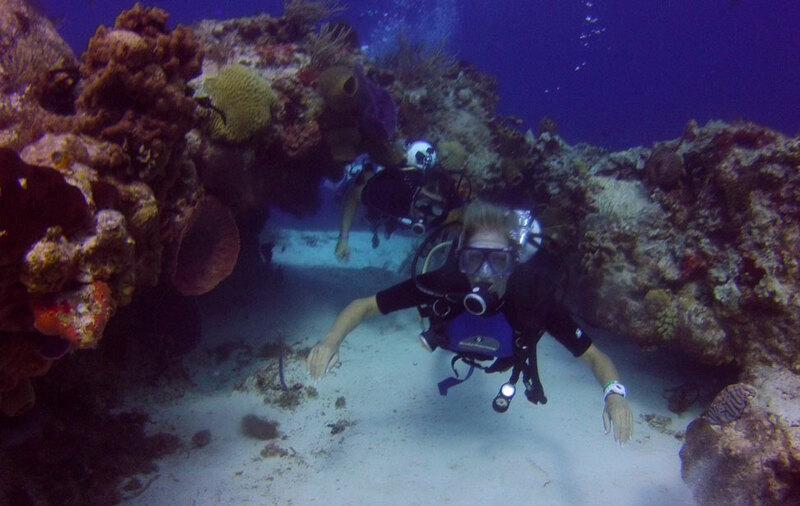 Our scuba diving trips are perfect for any skill level and safety is our #1 priority. 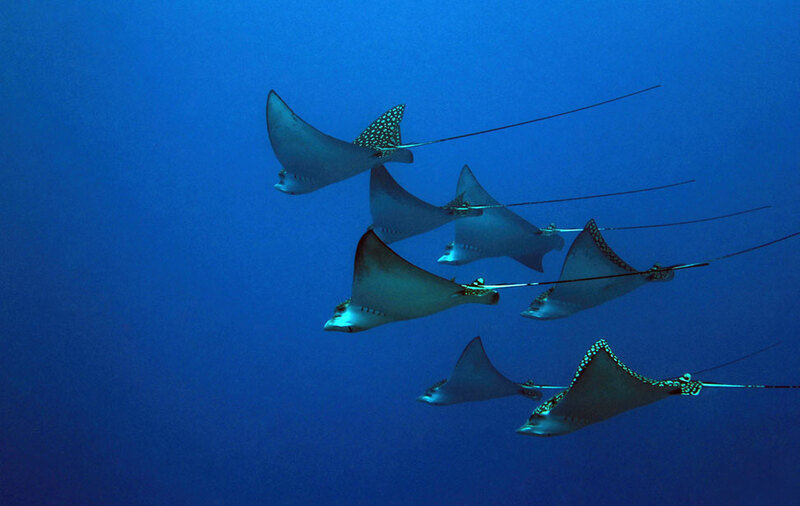 For diving in Cozumel , choose ScubaTony!